The Unternehmergesellschaft (UG) haftungsbeschraenkt is a limited liability company under German law which can be established in accordance with the German law on limited liability companies (GmbH-Gesetz, GmbHG). The UG was established as the „small” sister of the general limited liability company in Germany, the Gesellschaft mit beschraenkter Haftung (GmbH) in order to facilitate the easier foundation of a limited liability company for start ups. The main benefit of the UG in comparison to its „bigger” sister GmbH is that for the foundation of the UG the minimum registered capital is EUR 1, while for a GmbH the minimum registered capital is EUR 25.000 of which at least EUR 12.500 need to be paid in at foundation. While foundation of the UG is possible with only EUR 1 it is highly recommended to have at least a registered capital of EUR 550 in order to cover the initial costs of foundation and the first year of the existence of the company. This can avoid immediate over-indebtness of the company which otherwise could be avoided by granting shareholder loans with a qualified subordination clause to the UG. The benefits of the UG for a start up are that it provides its shareholders with limited liability, i.e. only the UG is liable to creditors for the liabilities of the UG. The UG is managed by one or several managing directors which can be shareholders. It is possible that the only shareholder of the UG is also the sole managing director of the UG. The managing director(s) can be granted the right to contract with themselves or with another company where they hold the office of managing director by the shareholders’ meeting. The shareholders’ meeting can control and direct the managing director(s) within the boundaries of the applicable law. 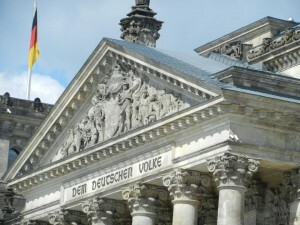 The applicable law will for all corporate law matters be German law. In regard of other actions taken by the managing director(s) of the UG other laws can be applicable. But for a minimum of mandatory parts (seat, company name, company purpose, registered capital) the articles of the UG can be developed independently by the shareholders. To amend the articles a majority of 75% of the shares present in a relevant shareholders’ meeting. For purposes of e.g. venture capital financing e.g. tag along rights, drag along rights and liquidation preferences could be included in the articles; it can be advisable though to agree on such rights in a separate shareholders’ agreement in order not to have these rights accessible for everyone via the commercial register. The UG is generally subject to German corporate tax of 15%. Distributions of profits to shareholders would generally be taxed with 25% at the level of the receiving shareholder. Where profits by the UG are generated outside of Germany, the taxation of these profits is subject to any existing double taxation treaties. The same applies to the taxation of distributed profits on the shareholder level if the shareholder is not a tax resident of Germany. In exception from the general rule dividends, exit proceeds and capital gains which the UG receives are only taxed with 5 percent non-tax deductable expenses which results in an effective taxation of approx. 2.75%. Overall, the UG therefore is a great choice for company foundation in Germany for start ups or as an investment vehicle for investments in Germany and beyond.